Notification of the passing of retired DL pilot Captain Thomas Francis Murray, age 84. Captain Murray hired on with Delta Air Lines 12-03-1956 and retired 03-01-1989, based Atlanta. After his retirement with Delta, he continued flying 7 more years as a volunteer pilot for mercy flights with Christian Air Ministry out of Griffin, GA. Funeral services will be held at 11:00 a.m. on Tuesday, July 16, 2013 at Higgins Hillcrest Chapel in Newnan GA with visitation the evening prior. Thomas F. Murray of Newnan, died on July 13, 2013. 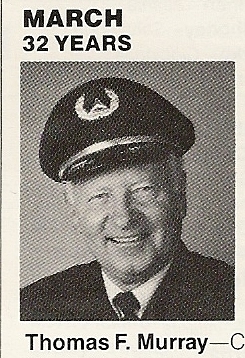 Captain Murray retired from Delta Airlines in 1989 after 33 years of flying numerous aircraft. Surviving are his wife of 57 years, Emily Joyce Murray; sons, Matthew Murray (Lori) and Timothy Murray; grandchildren, Alex Murray, Kayla Murray, Lucy Tucker, Luke Murray, and Olivia Murray; brother-in-law and sister-in-law, Wally and Mary Griswell. 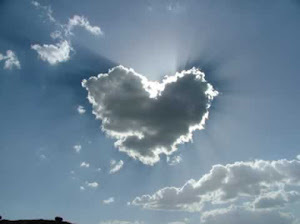 Online condolences may be sent to the family at www.higginshillcrestchapel.com. Funeral services will be held at 11:00 a.m. on Tuesday, July 16, 2013 at Higgins Hillcrest Chapel; interment Crestlawn Memorial Park at 2:00. Family will receive friends at the funeral home today, Monday, 6-8 p.m. In lieu of flowers, anyone desiring may make a memorial gift to Georgia Agape, Inc., 3094 Mercer University Dr., Suite 200, Atlanta, GA 30341. Higgins Hillcrest Chapel Funeral Home, Newnan, 770-253-4723. Mr. Thomas F., Murray, age 84 of Newnan, died at Piedmont Newnan Hospital on July 13, 2013. He was born in New York City on July 9, 1929 to the late Ruth and Tom Murray. In addition to his parents he was predeceased by an infant son, Michael Wallace Murray. Mr. Murray served four years in the United States Air Force during the Korean War. He was discharged in 1952 as a S.Sgt-NCOIC from the MATS outfit as an aircraft propeller specialist. He enrolled at Georgia Tech in 1953. He received his degree in Aeronautical Engineering in September 1956 and was hired by Delta Air Lines as a pilot in December 1956. He flew numerous aircraft during his 33 year career and retired in 1989 at Captain on the L-1011. He was a Line-Check Airman his last two years and "Senior Line-Check Airman" his last year with Delta Air Lines. Captain Murray continued flying 7 more years as a volunteer pilot for mercy flights with Christian Air Ministry out of Griffin, GA. He was a devoted, loving husband, father, and grandfather and is survived by his wife of 57 years, Emily Joyce Murray; sons, Matthew Murray and his wife Lori and Timothy Murray; grandchildren, Alex Murray, Kayla Murray, Lucy Tucker, Luke Murray, and Olivia Murray; brother-in-law and sister-in-law, Wally and Mary Griswell. Funeral services will be held at 11:00 a.m. on Tuesday, July 16, 2013 at Higgins Hillcrest Chapel with interment to follow at 2:00 p.m. at Crestlawn Memorial Park, 2000 Marietta Boulevard NW, Atlanta, GA 30318. The family will receive friends at the funeral home on Monday, July 15, 2013, 6-8 p.m.. In lieu of flowers, anyone desiring may make a memorial gift to Georgia Agape, Inc, 3094 Mercer University Dr., Suite 200, Atlanta, GA 30341 to help provide foster or adoptive homes for neglected, abused, and unwanted children.